In today’s blog post, we will look at some of the trademarks that are owned or assigned to celebrities. Tim Tebow was not only the talk of the football community at one point of time, but he was also a celebrity outside of the world of football. Even if you didn’t watch football, you would still probably know what “Tebowing” is. This didn’t go unnoticed by Tim Tebow and the once famous football star has trademarked “Tebowing.” The “Tebowing” trademark is used in association with hats and shirts. Although we don’t hear as much from Tim Tebow as we did from before, his trademark is still active. The socialite has trademarked her famous catchphrase “That’s Hot.” Although she hasn’t been in the spotlight lately, her trademark is still listed as active on the United States Patent and Trademark Office’s (USPTO) website. The “That’s Hot” mark is used for various clothing products such as clothing, shirts, pants, jeans, jackets, scarves, underwear, swimsuits, night gowns, robes, and so much more. Taylor swift is undoubtedly one of the biggest celebrities of this era. She has produced several hit songs for fans all over the world to enjoy. But the singer made sure to capitalize on the success of her songs. After the song “Shake it Off” came out, Taylor trademarked the phrase “This Sick Beat,” which was one of the lines in the song. “This Sick Beat” is used in association with tops for men and women, notebooks, notepads, blank journals, blank writing journals, and various other things. Additionally Taylor also trademarked “Taylor Swift” for musical instruments such as guitars. Why would celebrities want to trademark words resembling their likeness? Tim Tebow and Taylor Swift are just a few examples of celebrities who trademarked words or phrases that have some sort of similarity to their actual names or persons. Trademarking words or phrases that reflect a celebrity’s likeness may also serve a very important function: It may serve as another way to prevent others from capitalizing on a celebrity’s fame and success and prevent false endorsement. False endorsement is when a product or service somehow implies that a celebrity endorses that product or service. Under Section 43 of the Lanham Act, using a mark that is “likely to cause confusion… as to the affiliation, connection, or association of such person with another person, or as to the origin, sponsorship, or approval of his or her goods, services” may result in liability. Thus under federal law, using a mark that somehow causes the consumer to believe that a product or service sponsored or endorsed by a source when it really isn’t, can result in liability. Let’s use a real life example! Let’s use some of the examples of celebrity trademarks that we discussed above to see how there may be false endorsement. Imagine that Person A is interested in starting a new business that will sell musical instruments such as trumpets. He’s also aware that Taylor Swift is a huge icon and celebrity. He believes that there will be better sales of his trumpets if he markets trumpets as “Taylor Swift Trumpets.” This would lead consumers to believe that the trumpets are endorsed by Taylor herself or is a product made by a company affiliated with her. But false endorsement can be found in more than one way. Let’s imagine that instead of labeling the trumpets as “Taylor Swift Trumpets,” Person A begins to make posters advertising his trumpets. In the poster, he depicts Taylor holding one of his trumpets. This may also lead consumers to believe that Taylor Swift somehow endorses these trumpets. What about trademarks that do not directly implicate the celebrity? Using a celebrity’s name or likeness may be one obvious way to find that there was some sort of false endorsement. But false endorsement can be found even when the celebrity’s name or image is not used. Let’s use Paris Hilton’s “That’s Hot” mark as another example. Let’s just say you grew up in the early 2000’s when Paris was all over the news. You then go shopping at a supermarket and see “That’s Hot” cereal. The cereal is in no way related to her or any of her affiliates. If you were a big T.V. watcher and saw all of Paris’s stunts and escapades, you’d probably think that the cereal is some how related to her. This would lead you to believe that the cereal is some how endorsed by her or at least made by one of her companies. Imagine spending thousands of dollars into making a trademark great. You’ve built a great brand with an amazing product. But if your competitors can use your trademark on their products, it could hurt the goodwill or association that consumers have with your product. Going back to the Taylor Swift trumpet example, imagine that the trumpets are very poor in quality. People who bought them and thought they were affiliated with Taylor Swift would start to believe that other products made by Taylor are also poor in quality. Thus, protecting the brand is extremely important to ensure that is no damage to consumer goodwill. What do you think about celebrity trademarks? Leave a comment below to let us know what you think! Interested in more intellectual property? Here’s a video! 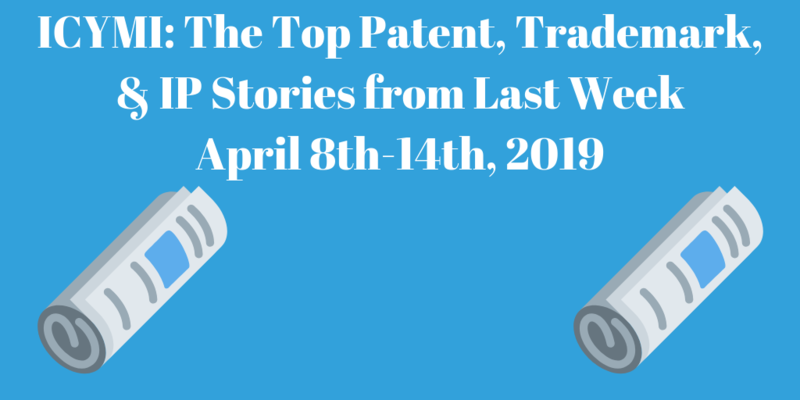 If you’ve enjoyed this blog post, we have lots more where this came from, including an Inventors Guide Video Series where we help you turn your good idea into a profitable invention, and tons of other great content. Simply enter your email address and hit sign up and you’ll get everything, including blog posts like these, conveniently in your email box!